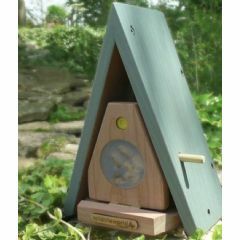 The Gardman Bee Hive is made of FSC wood and is the perfect place for solitary bees to shelter. 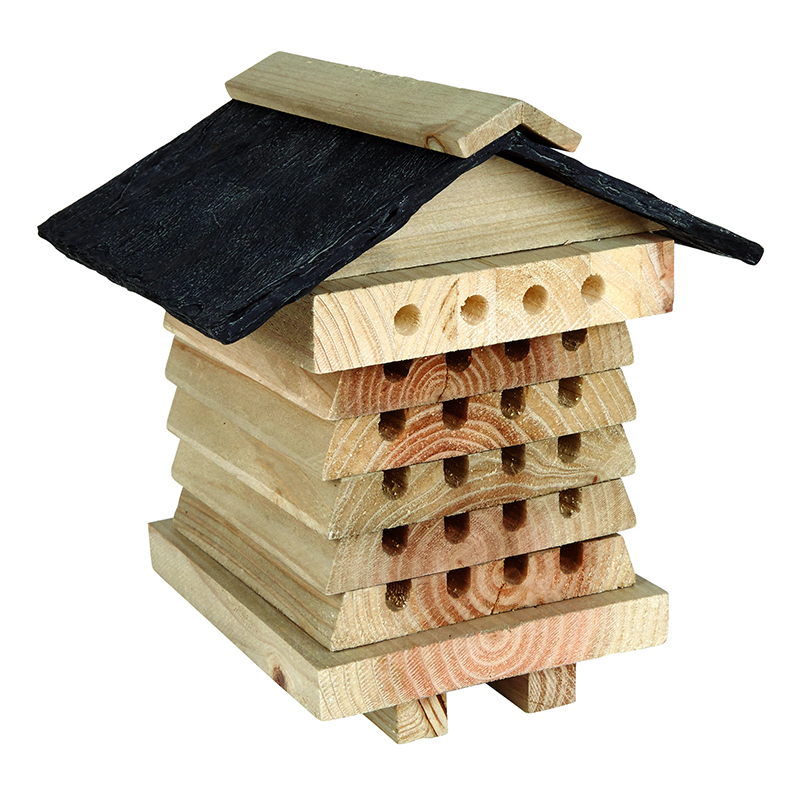 This bee hive is made in the UK from from FSC wood and features a slate roof to protect it from the elements. Encouraging bees is a great way to pollinate your plants. 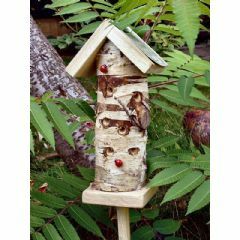 Having a bee hive will give you legions of eager pollinators, working to make your garden yield more than you ever thought possible. If you have fruits and vegetables, bees will also help tremendously. I bought this knowing that the bees would either stay or go. But I thought give them time it's early days. I now sit or walk up my path and watch the very small bees coming and going to this box. Oh I am so pleased they like it. They are no longer in danger of the magpies who kill them or myself with my mower. It's warming to think I have done something for nature. Bought this as a birthday gift. 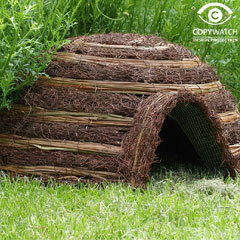 It will be perfect in the country garden which has a wild meadow area. Pleasantly surprised by how sturdy and well made it was and cheaper than others I had looked at online. Really impressed. This is a well constructed bee box and was being occupied within a day of hanging it in the garden. 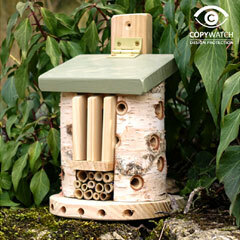 We now have both leaf cutter and mason bees working madly! Great product and even better service! Very pleased with both! 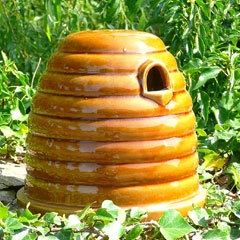 The Bee hive appears to be very sturdy and well built. A little more information about siting would have been helpful. This was bought as a gift so I haven't used it. However with having the slate roof, it is a good weight. It is well constructed with no loose parts and I really liked the design. The recipient was pleased with it too!